I have not done a book review on the blog before but I was rereading my all time favorite series and just had to share! 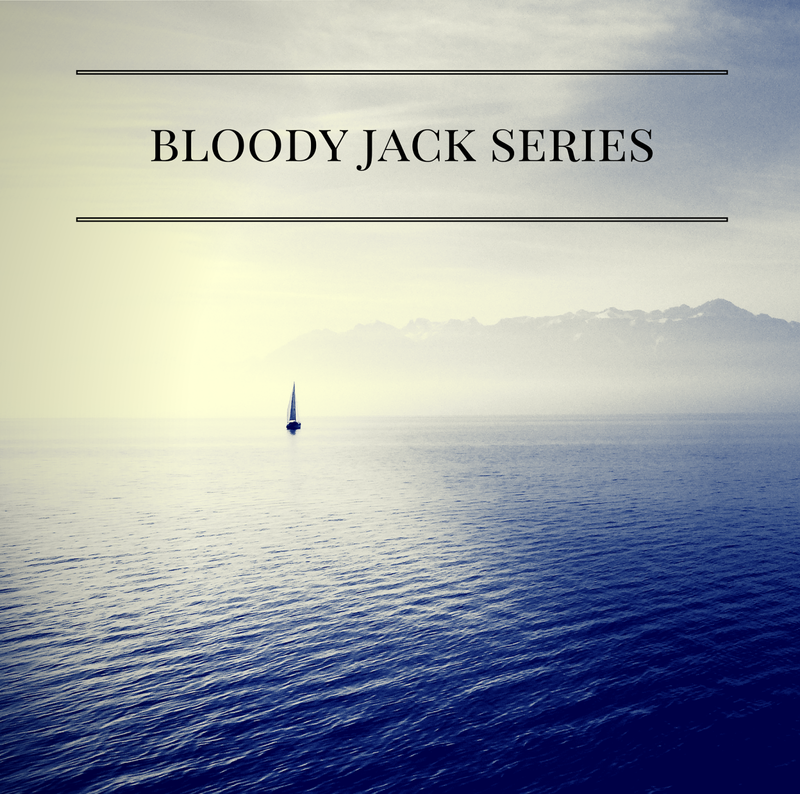 If adventures on the high seas are your thing, the Bloody Jack series by L. A. Meyer is a must read. After randomly picking up the first novel in the library years ago, I have been hooked ever since and have reread the series countless times. The adventure begins when the heroine Mary “Jacky” Faber disguises herself as a boy and boards a Royal Navy ship in the early 1800s after the death of her family. For twelve books the reader follows Jacky as she crosses oceans and continents in such varied roles as ship’s boy, tavern performer, serving girl, privateer, spy, pirate, lady-in-training, captain, and countless more. What makes this series completely captivating is the irresistible personality of Jacky and her unique and inspiring relationships. Although, as she often admits, the trouble she gets in makes her “so very hard on [her] friends,” Jacky is a good person who demonstrates that caring for others and working hard will lead to success (or at least survival!). Jacky deals with action, romance, and challenges in such a realistic, relatable and admirable way that I often find myself trying to channel her spirit in my everyday life. That is when you know that a series has made a lasting and profound impact! This coming of age story has illustrated for me what all girls should strive to be; a woman who is confident in her worth and intelligence, who is not afraid to stand up and provide for herself, and who is quick to find the best in any situation and continually seeks to improve her position in life. I will say that although it is technically a young adult book, there are themes and scenes that are quite sophisticated and not exactly ideal for a younger reader. Now, here is the terribly sad part, L. A. Meyer passed away last year and the final Bloody Jack book was published posthumously in September of this year. While I am thrilled that there is a conclusion, I am also in denial that there is indeed a last book. I am in the process of reading the series again, culminating in my first reading of the 12th book. Fingers crossed I am not disappointed (but I doubt I will be). What is your favorite series? Have you ever read/heard of Bloody Jack? P.S. I would love for you to connect with me on Goodreads! This was originally a guest post on Bookworms in Dresses.